We regularly organise upkeep projects involving neighbours and members of the community to help keep our neighbourhood neat and tidy. 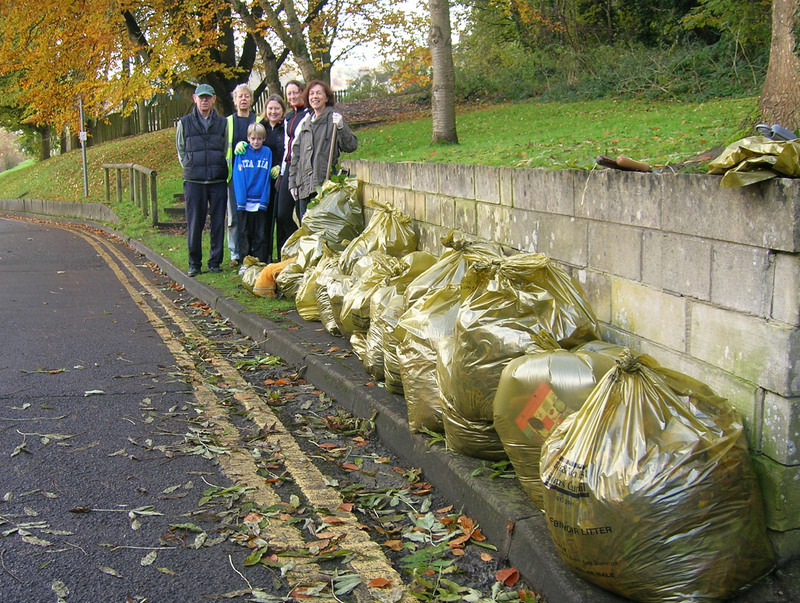 These include litter-picks, shrub trimming and clearance, as well as looking after our local playground. We have been lucky to escape any severe winter weather this year. However, we were well prepared for any eventuality thanks to the efforts of our intrepid Snow Wardens and all the volunteers who ensured that stores of salt and a battery of snow clearing tools were available to be deployed at a moment’s notice in strategic positions around the area. 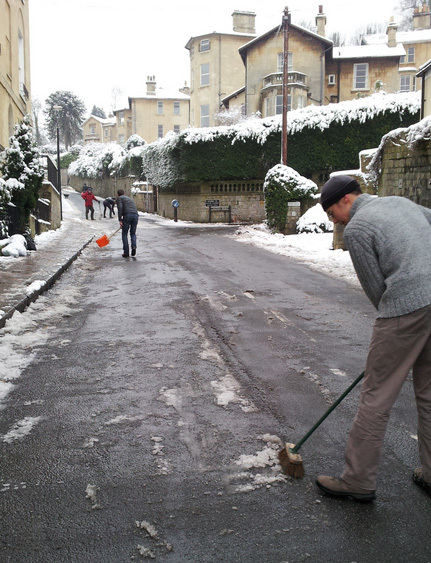 None of our residential roads is routinely gritted in winter by BANES; main roads, bus routes and important roads are prioritised. Pedestrian routes are only gritted in severe weather conditions and where footfall is high.